Fun wave and sandy sand beach that is interesting on this beach, it seems not many people know the location or name of this beach, visible from when I came here is still empty will visitors, only a few tourists who I met and that even because they stay in the surroundings area near this beach, the rest only a few local people only. Batu Tampih Beach is located between Pig Stone Beach and Yeh Gangga Beach, so if you ever visit one of the beaches it would be very easy to find this spot, you are just looking for Banjar Batu Tampih Kangin, if you are from the east side of this Banjar position next to left you from the next big road you live in and follow the paved road keselatan until it runs out, more or less from the big road to this beach about 10menitan drive, the road can be passed by two-and four-wheel vehicles, along the way you will pass the view of rice fields and cows - cows owned by local residents, just cool deh. Here the sand is blackish and somewhat crowded some tourists and local people use it to play atv on the edge of the beach loh guys .. so far Pantai Batu Tampih and other beaches surrounding this area may still save a lot of charm that we do not know, next time surely we will explore further .. 😀 'See you on the next trip guys! Recommended! 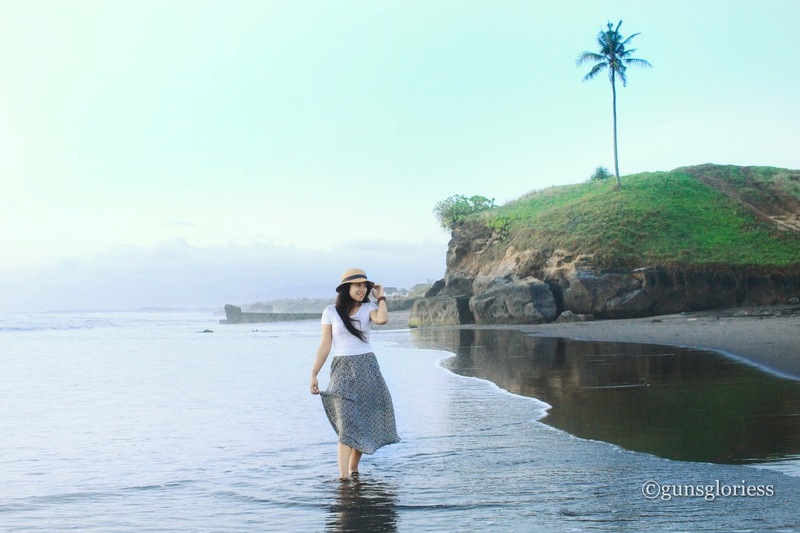 0 Response to "Pig Stone Beach (Bali : Pantai Batu Tampih)"